One of the best parts about our Gatlinburg cabins is the amazing amenities they provide. Not only do they come with all the comforts of home, like fully equipped kitchens and washers and dryers, but you will have extra amenities to make your stay more special! Soak in the bubbling outdoor hot tub as you admire the view, or curl up in front of the fireplace on a cool mountain night. Some of our cabins have pool tables, arcade games, fire pits, and more. You will have it all when you stay in our Gatlinburg cabins! Being close to downtown Gatlinburg means you’re close to all the action! When you spend less time driving downtown, you will have more time to spend having fun. 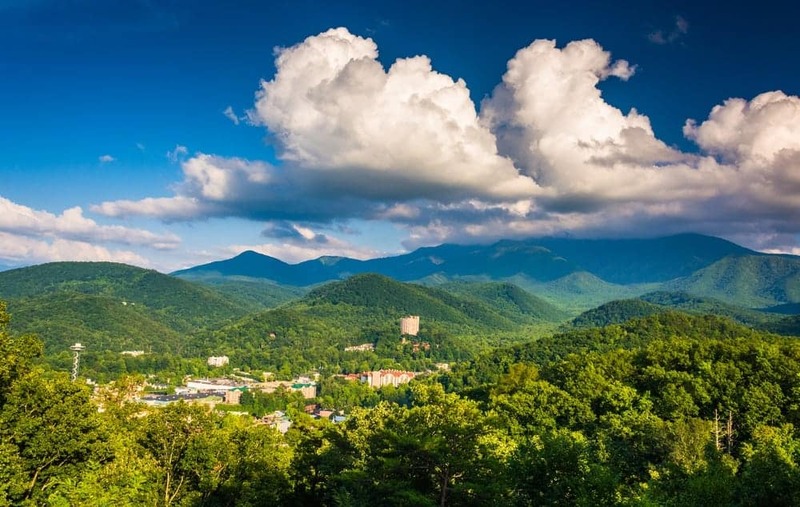 You can spend the afternoon visiting with your favorite aquatic animals at Ripley’s Aquarium of the Smokies, or venture to the top of the Gatlinburg Space Needle to see incredible views from more than 400 feet in the air. Not only are there fun attractions, there are a variety of specialty shops to browse and delicious restaurants for you to try. Stroll through The Village to find a unique souvenir, or order a stack of pancakes at The Pancake Pantry! At the end of a fun-filled day, you will love only being a short distance from your cabin and a peaceful night of rest. Just because you’re close to all the excitement doesn’t mean you won’t have any peace and quiet. Our Gatlinburg cabins make you feel a world away from the hustle and bustle of downtown. You won’t have to worry about any noises keeping you up late at night, and you can sit on your deck and take in the scenery without the sounds of traffic or neighbors interfering with your relaxation time. No matter what the occasion, we have a cabin for you! Our cabins range in size from 1 bedroom to 13 bedrooms and can sleep anywhere from 2 to 60 guests. Whether you’re visiting to explore the sights with your sweetheart or for a family reunion, you will have no trouble finding the perfect place to stay. If you want an adventurous vacation, stay in one of our cabins on the river, where you can go fishing, tubing, swimming, and more! For a more relaxing visit, just sit outside and enjoy the beautiful scenery. These are just some of the many things you will love about our Gatlinburg cabins near downtown! Browse all of our Gatlinburg cabins and reserve your stay today.